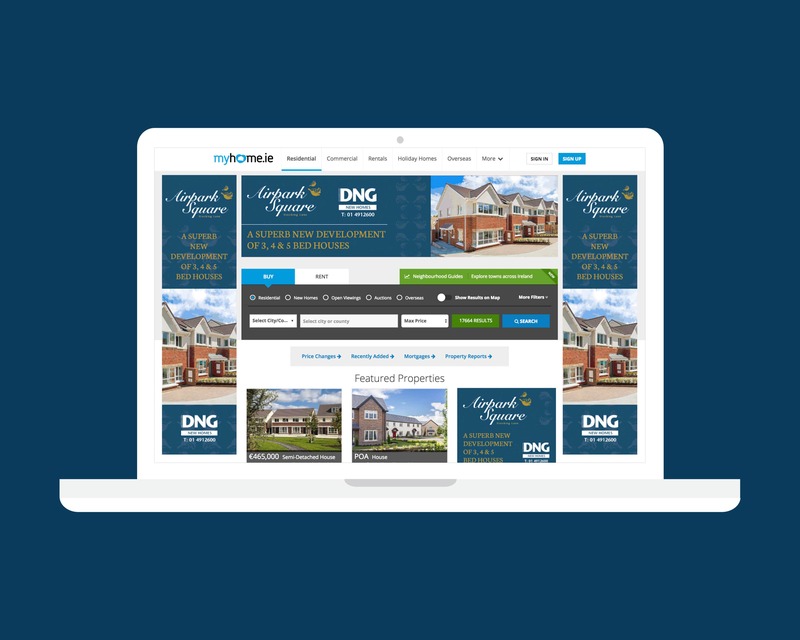 DNG is the largest seller of residential property in the greater Dublin area. 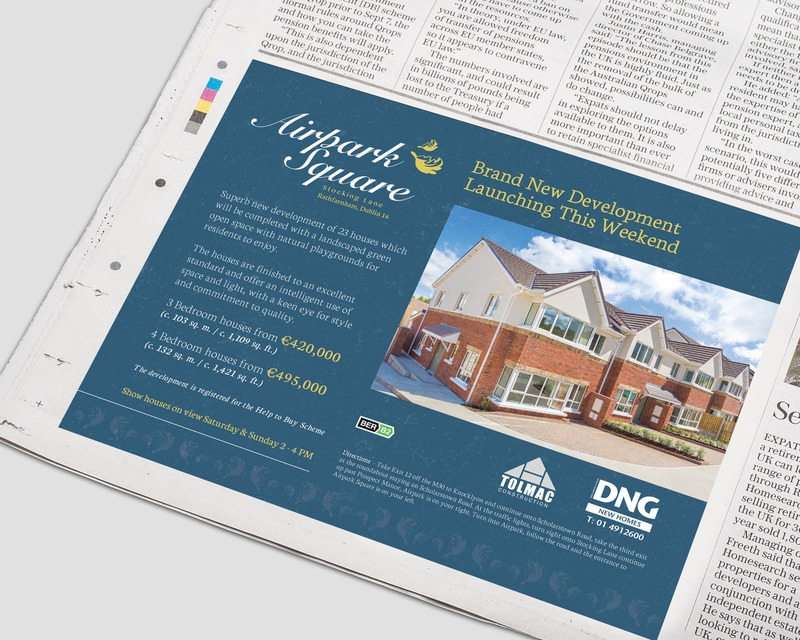 They approached Idea to work on a new homes development – Airpark Square in the exclusive Rathfarnham area. 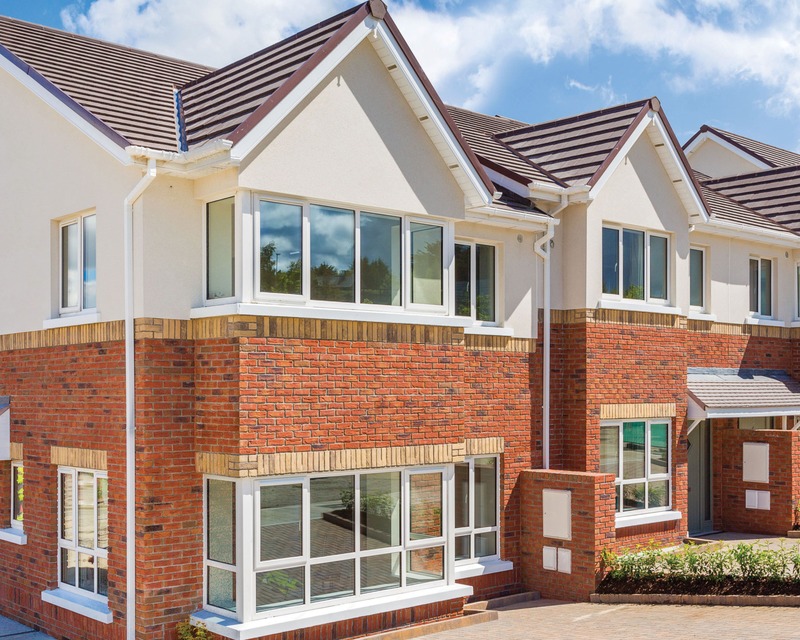 The new development of 23 traditionally built, energy efficient houses is positioned in the mature development in Rathfarnham. 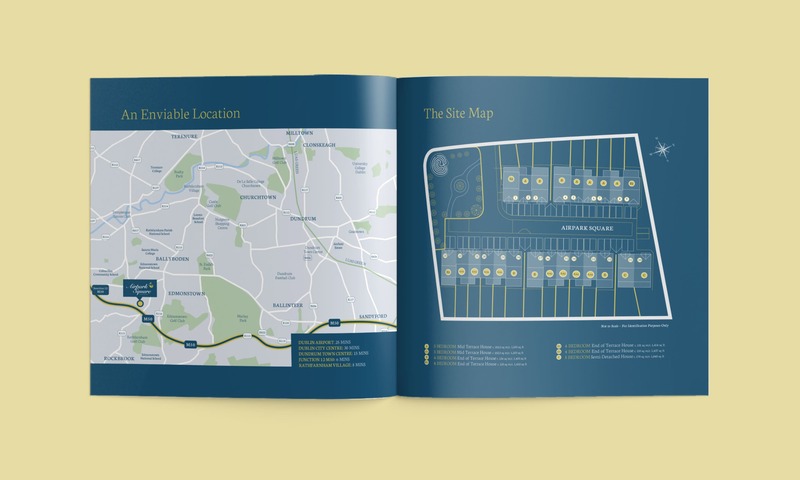 Idea understands that a brand and marketing collateral is an essential part of selling any development. DNG were in good hands! 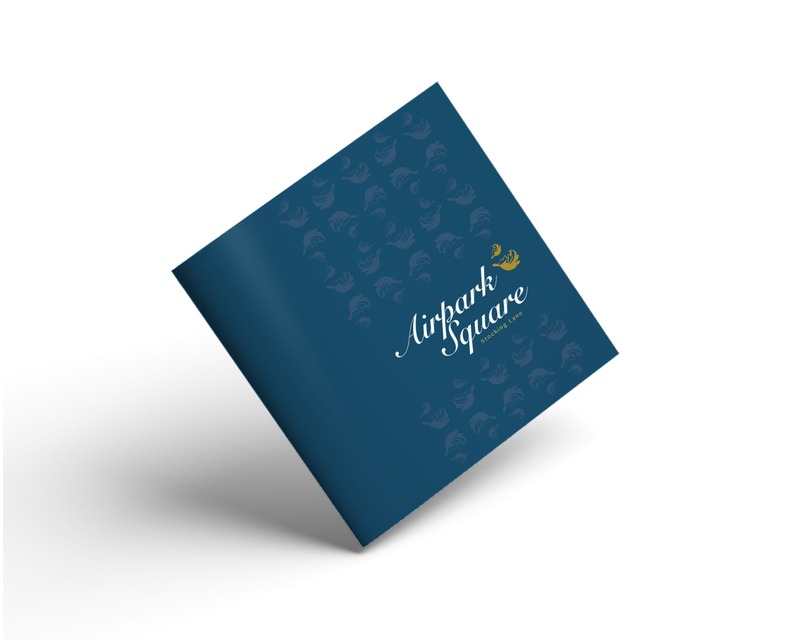 We got to work on Airside Park’s brand – the blue and gold colour pallet adds emphasis and exclusivity to the development. A gold leaf adds a leafy, suburban feel to the brand, and adds a family, homely dimension to the development. 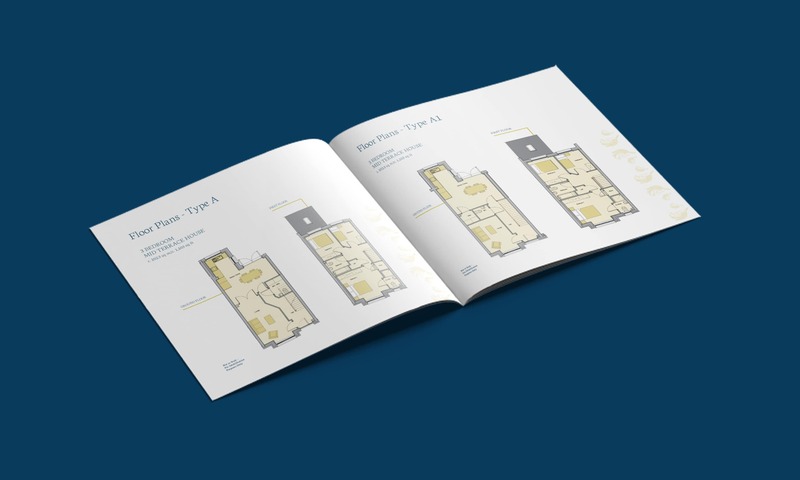 We rolled this out across their brochure (including floor plans, site map and location map designs), signage, print and digital advertisements. A fantastic result for a delightful development.